Quick GULF ACCESS & NO IMPACT FEES !!! SAVE BIG ON BUILDING !!!!! 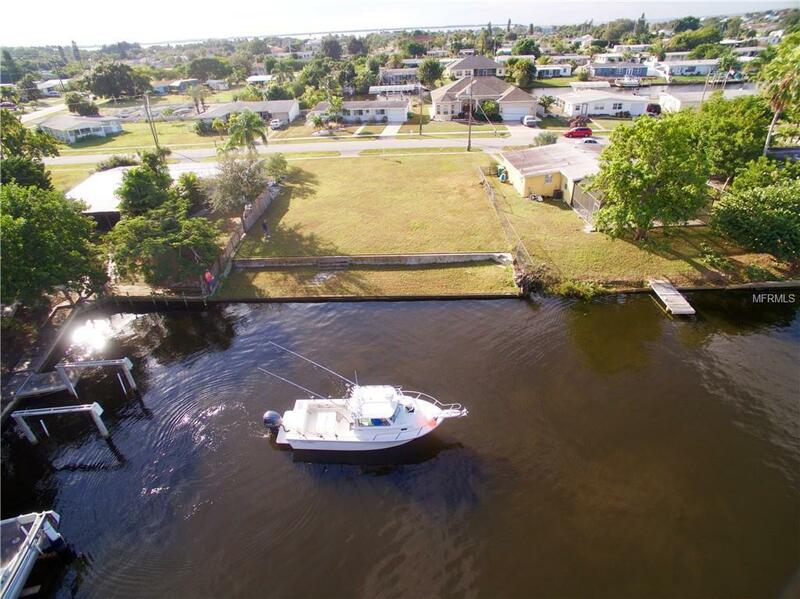 Quick Out Waterfront Gulf Access Build-able Lot With Water & Sewer already in and Paid For !!!! 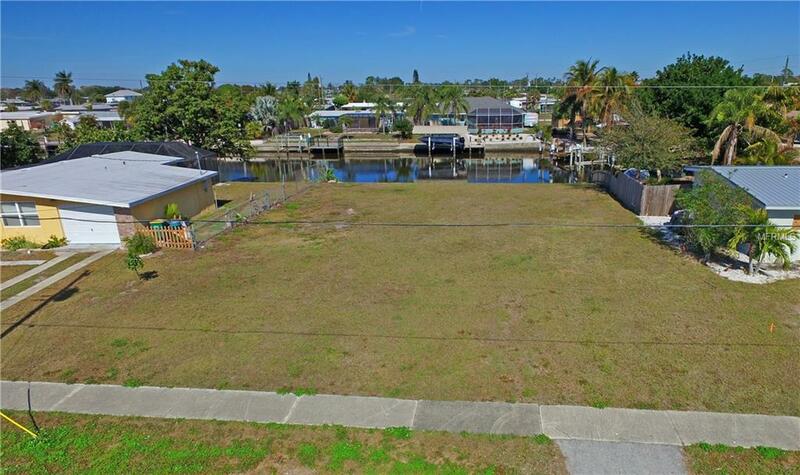 Vacant Cleared lot with Quick 10 Min Gulf of Mexico Access Waterfront Homesite. One bridge out with 13' clearance . Flat lot with Seawall already in. And it has City Water & Sewer in Place with No Impact fees!!! This saves you approximately $11K on Building Fees. Be Sure to Click the Virtual Tour link to see actual Footage of the Canal. Located in an area of saltwater, canal lot, cul-de-sacs. 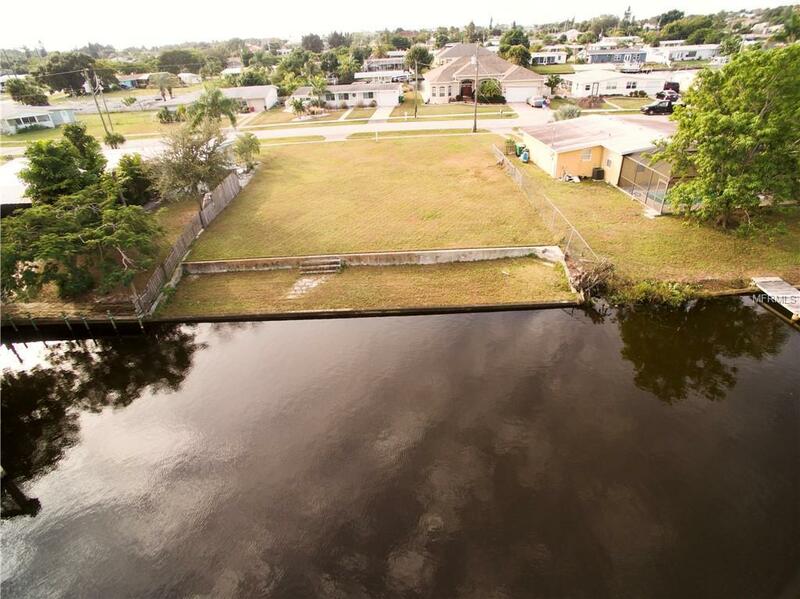 Canal lot properties are on both sides of the road retaining property values. 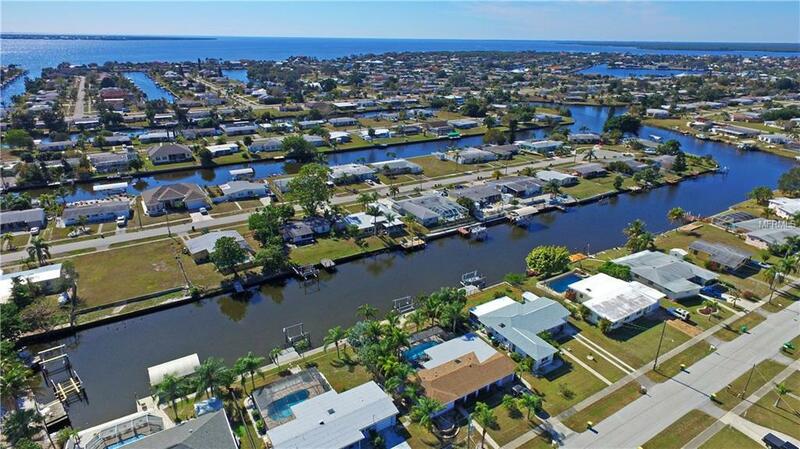 Quiet neighborhood ,No HOA,Less than 10 minutes to Charlotte Harbor and shopping Boaters/Fishermans dream, Catch snook, tarpon, mullet, blue crab and more from your own seawall, or head out to the Harbor and Gulf for grouper, snapper, kingfish, sea trout, cobia, pompano, and more. Home shown on Lot can be built for $300K We have several others. Need a Builder we have some good ones Enjoy a short boat ride just across the Harbor to Punta Gordas Fishermans Village shops, restaurants and bars. Cruise down to Boca Grande, stop at Cabbage Key Restaurant in Cayo Costa for a cheeseburger in Paradise, maybe take the intracoastal waterway to Sanibel Island? or Just enjoy the fish form your own back yard ( See the video on Zillow to see the fish jumping) Hurry what are you waiting for !!!! !